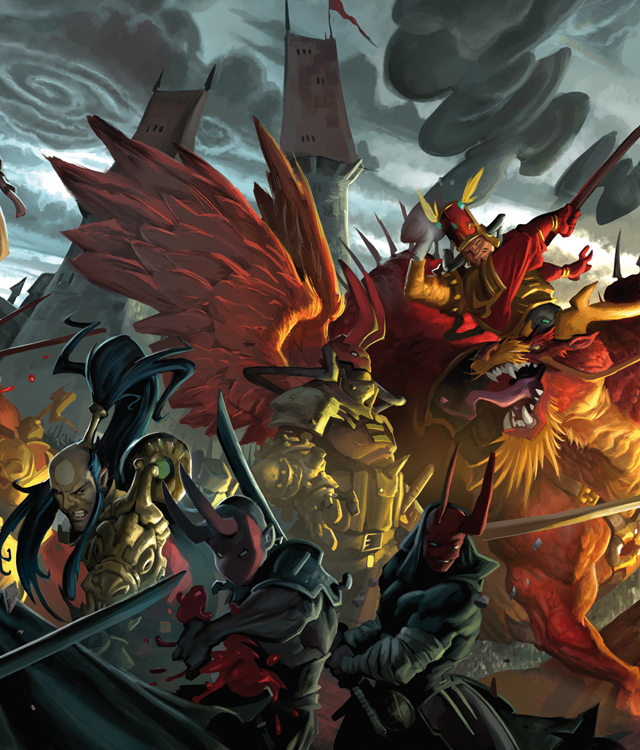 An epic fantasy miniatures wargame set in a stunning world! In an age of fretful peace plagued by visions of imminent war, five shining kingdoms cling to a final hope against a fruitless, eternal struggle for an ancient, dusty crown. They gather from across the continent for one last summit to determine who will sit the Empyrean Throne. Wrath of Kings is a steam-fantasy wargame that gives players five distinctive factions to wage war in Arikania, a savage continent shattered by incredible rivalries. Military doctrines across the factions are as unique as their aesthetics, with savage werewolves, tenacious horrors from the ocean depths, magically empowered samurai, and everything in between. To find out more about the world of Wrath Of Kings, visit our website!